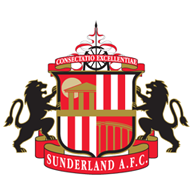 Match ends, Doncaster Rovers 1, Sunderland U21 0. Second Half ends, Doncaster Rovers 1, Sunderland U21 0. Foul by Jacob Fletcher (Doncaster Rovers). Rees Greenwood (Sunderland U21) wins a free kick in the defensive half. Attempt saved. Andrew Nelson (Sunderland U21) header from the centre of the box is saved in the centre of the goal. Attempt saved. Cody Prior (Doncaster Rovers) right footed shot from the right side of the box is saved in the bottom left corner. Corner, Sunderland U21. Conceded by Morgan James. Andrew Nelson (Sunderland U21) wins a free kick in the defensive half. Corner, Sunderland U21. Conceded by Cody Prior. Brendan Galloway (Sunderland U21) wins a free kick in the defensive half. Foul by Morgan James (Doncaster Rovers). Substitution, Sunderland U21. Jack Diamond replaces Owen Gamble. Jacob Fletcher (Doncaster Rovers) wins a free kick in the defensive half. Goal! Doncaster Rovers 1, Sunderland U21 0. Issam Ben Khemis (Doncaster Rovers) left footed shot from the left side of the six yard box to the bottom left corner. Assisted by Liam Mandeville. Attempt missed. Morgan James (Doncaster Rovers) right footed shot from a difficult angle on the left misses to the left. Cody Prior (Doncaster Rovers) wins a free kick in the attacking half. Substitution, Doncaster Rovers. Morgan James replaces Harry Toffolo. Substitution, Doncaster Rovers. Cody Prior replaces Niall Mason. Foul by James Morris (Doncaster Rovers). Tyler Walker (Doncaster Rovers) wins a free kick on the left wing. Attempt missed. Jacob Fletcher (Doncaster Rovers) left footed shot from outside the box is close, but misses to the right. Corner, Doncaster Rovers. Conceded by Mika. Attempt saved. James Morris (Doncaster Rovers) right footed shot from outside the box is saved in the top right corner. Attempt missed. Andrew Nelson (Sunderland U21) right footed shot from the left side of the six yard box misses to the right. Attempt missed. Ethan Robson (Sunderland U21) right footed shot from outside the box misses to the right. Jacob Fletcher (Doncaster Rovers) wins a free kick in the attacking half. Attempt missed. Ethan Robson (Sunderland U21) right footed shot from a difficult angle on the right is too high. Corner, Sunderland U21. Conceded by Harry Toffolo. Substitution, Sunderland U21. Adam Bale replaces Denver Hume. Substitution, Doncaster Rovers. James Morris replaces Andy Williams. Second Half begins Doncaster Rovers 0, Sunderland U21 0. First Half ends, Doncaster Rovers 0, Sunderland U21 0. Corner, Sunderland U21. Conceded by Tyler Garratt. Luke Molyneux (Sunderland U21) wins a free kick in the defensive half. Liam Mandeville (Doncaster Rovers) hits the bar with a right footed shot from outside the box from a direct free kick. Tyler Walker (Doncaster Rovers) wins a free kick in the defensive half. Foul by Brendan Galloway (Sunderland U21). Andy Williams (Doncaster Rovers) wins a free kick on the right wing. Tyler Garratt (Doncaster Rovers) wins a free kick on the right wing. Foul by Andrew Nelson (Sunderland U21). Foul by Owen Gamble (Sunderland U21). Donald Love (Sunderland U21) is shown the yellow card for a bad foul. 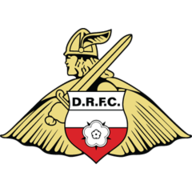 (Doncaster Rovers) wins a free kick in the defensive half. Foul by Donald Love (Sunderland U21). Corner, Sunderland U21. Conceded by Marko Marosi. Attempt saved. Ethan Robson (Sunderland U21) right footed shot from long range on the right is saved in the top right corner. Rees Greenwood (Sunderland U21) wins a free kick on the right wing. Attempt missed. Andy Williams (Doncaster Rovers) right footed shot from the left side of the box is just a bit too high. Ethan Robson (Sunderland U21) wins a free kick on the right wing. Corner, Sunderland U21. Conceded by Reece Fielding. Foul by Tyler Walker (Doncaster Rovers). Harry Toffolo (Doncaster Rovers) wins a free kick in the defensive half. Attempt missed. Reece Fielding (Doncaster Rovers) header from the right side of the six yard box is just a bit too high. Corner, Doncaster Rovers. Conceded by Jack Rodwell. Reece Fielding (Doncaster Rovers) wins a free kick on the right wing. Attempt saved. Jacob Fletcher (Doncaster Rovers) left footed shot from outside the box is saved in the centre of the goal. Attempt missed. Niall Mason (Doncaster Rovers) right footed shot from the centre of the box is too high. Corner, Doncaster Rovers. Conceded by Tom Beadling. Ethan Robson (Sunderland U21) wins a free kick in the attacking half. Attempt missed. Harry Toffolo (Doncaster Rovers) left footed shot from outside the box is just a bit too high from a direct free kick. Liam Mandeville (Doncaster Rovers) wins a free kick in the attacking half. Reece Fielding (Doncaster Rovers) wins a free kick in the defensive half.